If you are suffering from severe hair loss and balding, opt for a consultation at Kaya Clinic. They have several treatments and therapies for hair restoration. If your baldness is too severe for hair restoration therapies, Kaya offers an effective hair transplantation treatment. Hair transplant usually works for male pattern baldness, where hair loss is caused by the hormone dihydrotestosterone or DHT. DHT damages hair follicles, and hair in the affected regions do not grow back. However, hair at the back and sides of the head are typically resistant to DHT. In a Hair Transplant procedure, healthy hair follicles are extracted from the back or sides of the head and implanted on the bald region. There are many methods used in the hair transplantation process. However, the two most common methods currently used are FUE Transplant and FUT Transplant. Both methods are highly effective hair transplant techniques and have many similarities. However, they differ in how the donor hair is removed and prepared. In the Follicular Unit Transplant method, a strip of hair is removed from the back of the head. The surgeon then divides the strip into smaller units using a microscope to magnify the strip for precise cutting. The strip is cut into smaller follicular units with each unit having 1 to 4 hairs. These follicular units are then embedded in the recipient region. In the Follicular Unit Extraction method, individual hair follicles are removed. The surgeon makes a 1mm circular incision around a follicular unit using a special instrument. This is then extracted. After extracting the required number of hair follicles, the surgeon then begins the process of placing them over the recipient area. In both methods, the operation is performed after administering local anesthesia in the donor and recipient areas. In both techniques, the receiving region is prepared in a similar way. The surgeon uses an instrument to make tiny holes in the area, and the follicles or grafts are placed over these. Both procedures provide good results. The FUT method mimics the way hair grows in the normal way, in follicular units. In this method, the extracted strip leaves behind a wound that heals within two weeks but leaves behind a long term scar. If your hair is dense enough, this scar will not be visible. In Follicular Unit Extraction, tiny round wounds are created in the places where the follicles were removed. These heal quickly within a week, but leave behind tiny white scars. Mostly, your remaining hair in the donor site will cover these minute scars, so they will not be visible. At Kaya, the FUE method is used with high efficacy. Kaya Clinic combines the hair transplant procedure with other hair restoration therapies. These are done after the scalp has healed. Kaya uses Platelet Rich Plasma treatment, Nutrition Infusion into the roots, and laser induced hair root activation to aid and speed up the transplant effects. Performed by experienced hair transplant surgeons in well-maintained and well-equipped clinics, Kaya Hair Restore Expert Hair Transplant procedure provides good results. The surgeons take into consideration your scalp health, your hair type, hair growth pattern etc., to plan the extraction and map out how the extracted follicular units are placed over the bald patch, to provide the best results when the hair starts growing. Because hair at the back and sides of the head are resistant to Male Pattern Baldness, even when extracted and placed in a different area, the transplanted hair is real and permanent. If you follow the precautions and post-operative care instructions, within 8 or 9 months you will begin to see the results. If you have severe baldness issues, it might be time to look at the hair regrowth by hair transplant option. Go for a consultation at Kaya and enquire about the current Kaya hair transplant cost. Kaya also offers financing plans that allow you to pay for hair transplant in easy EMIs. You can more Kaya feedback to learn about the outcome of the treatment. If you are considering hair transplant as a solution for pattern hair loss, make sure you read up on such procedures, about the qualifications of the surgeons performing the procedure, the equipment, trained support staff and other requirements that makes a clinic a safe option. 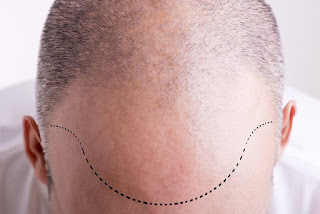 When you develop bald patches because of Androgenic Alopecia, it affects your looks and can affect your confidence. More than ever, young people in their twenties and even late teens are beginning to go bald, due to hereditary reasons, lifestyle changes, pollution, exposure to dust, sunlight etc. If your hair loss condition does not respond to other hair restoration therapies, a hair transplant might be the only solution that offers permanent relief. However, before selecting a clinic, do your homework. The clinic where you are having your hair transplantation should be well equipped and have well qualified demato surgeons and good support staff. Dermato Surgeries are minimally invasive surgical procedures that are carried out under anesthesia. Dermato surgeons have a deep knowledge of dermatology and skin problems. They are qualified to perform surgeries that improve the health and appearance of your skin. Dermato surgeons, besides being qualified in dermatology and certified by the Medical Association of India, should have undergone training in cutaneous surgery. For hair transplant, the surgeon should also have gone through a training period assisting in or performing hair transplant under the supervision of a highly experienced hair transplant surgeon. At Kaya, only those dermato surgeons who have enough experience with a high percentage of demonstrated positive results perform hair transplant surgeries at their Skin and Hair Health Clinics. Some of the dermatologists at Kaya Clinic have successfully performed more than 2000 surgeries! The clinic in which the procedures are performed should be well-equipped. It should have up-to-date instruments for the hair transplant method being used, have surgeons experienced in more than one method of hair transplant, have trained and certified anesthetists and support staff, and the facility should maintain high standards in hygiene and safety. Remember that any surgery that involves anesthesia also carries its own risk. So, the OT should also have good emergency response equipment and staff that is trained in emergency response. Hair transplant surgery is a safe procedure when carried out by trained surgeon and support staff in a good facility. Kaya is a reputed skin and hair care clinic that meets high standards, with well-equipped facilities and highly experienced dermato surgeons and support team. Before deciding whether you are a good candidate for hair transplantation, dermatologists at Kaya perform various tests, take down your hair loss history and your medical history. They would need all the details about any allergies you may have, any negative responses to anesthetics that you may have had, all your medical conditions, medicines that you are currently taking and so on. Lab tests may be done to gauge clotting and bleeding times, your blood count etc. A thorough scalp examination is also done. All this information is considered to determine whether you will be a good candidate for hair transplant. If you are, then the dermatologist or dermatosurgeon will advice you on the precautions you need to take before the surgery, any risks involved, what you can expect from the surgery, any supplemental therapies you may need to encourage speedy recovery and enhance the effect of the surgery and so on. At Kaya, experienced dermato surgeons use the Follicular Unit Extraction for Hair Transplant. There are currently two recognized and proven methods used in hair transplant, Follicular Unit Transplantation or FUT Transplant, and Follicular Unit Extraction or FUE Transplant. While both are effective in hair restoration and are very similar, FUE might leave less obvious scars in the donor region. Using a systemic approach, Kaya combines hair transplant surgery with hair rejuvenation techniques like PRP, Nutri Infusion for hair roots, and laser treatment for hair root activation. Kaya Clinic offers safety and efficacy assurance in all its treatments. This is because they have well-equipped facilities maintained to high standards. The procedures are performed by highly experienced surgeons and technicians with a trained and experienced support staff. Their treatments are tested for effectiveness for the problems they address. Making That Critical Hair Transplant Decision - To Do Or Not To Do? Hair loss of the permanent kind is becoming increasingly common in both men and women due to reasons like increased pollution levels, lifestyle changes and so on. Men are experiencing baldness at an earlier age, even late teens and twenties. So, should you go for a hair transplantation? In hair transplantation, hair follicles are taken from a donor region, usually the back of your head, and implanted on the bald area. This transplanted hair is real and if it takes hold, it grows naturally and will be as permanent as any hair can be. However, there are many factors to consider, and if you go for a consultation at a good and reputed clinic like Kaya, the dermatologist will advise you on whether to opt for a transplant or explore other hair restoration methods. As mentioned before, young men are going bald, in their early twenties and some even in their late teens. Rapidly receding hairlines at a young age can be devastating for some, and a hair transplant can prove to be a confidence boosting solution. Male pattern baldness is a gradual process, and stabilises in your 30s. If you undergo a hair transplant before you are 28 or 30, you should be prepared for one or more such procedure to counter progressing baldness. The transplanted hair will not fall out, but you will have to undergo further hair transplant procedures to cover new bald patches. Whatever your age, when performed by experienced surgeons at reputed clinics like Kaya, it is a safe procedure, which can give good results. Enquire about the Kaya hair transplant cost before you get started. Hair transplant is relatively cheaper in India, and is safe with the availability of a number of skilled surgeons. However, the prices per graft depend on your location, the severity of your baldness, the reputation of the clinic and the surgeon, the hair transplant method used and so on. Each graft of hair can have two to four hairs depending on hair density on your scalp. Typically, cost can vary from Rs. 20 to Rs. 45 per graft for the FUT Transplant, and between Rs. 35 to Rs. 75 for the FUE Transplant. Cost also varies based on whether you are having Hair transplant in Mumbai, Delhi, Bangalore or Chennai. In certain situations, per graft cost can be in excess of Rs. 100. To this, you also have to add Service Tax. To get a clear picture, enquire about current costs at the clinic you choose. You can easily get a quote from a Kaya clinic once you set up an appointment with their dermatologists. They can even help you pay for your procedure through EMIs! Why Should You Choose Hair transplant? Hair transplantation is a safe and mild surgical procedure that can provide a permanent solution to baldness. 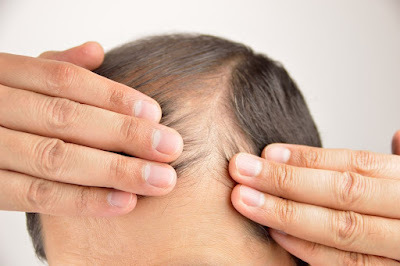 Male pattern baldness occurs due to a hormone called dihydrotestosterone (DHT). This hormone, in men who are prone to androgenic alopecia, latches on to hair follicles and shrivels them. However, hair at the back and the sides are resistant to DHT. This is why these are the donor regions in hair transplantation. The transplanted hair also remains resistant to DHT wherever it is placed. Once the roots take hold and new hair begins to grow, it will soon cover your baldness and restore your youthful look, giving you a personality and confidence boost. This hair is as real as hair in other regions of your head and once these hairs grow strong, they can be combed and washed and in other ways treated like normal hair, which they are. Done in a well-equipped and safe facility by experienced surgeons, hair transplant is an ideal solution for baldness. Look up Kaya hair transplant reviews online. At Kaya, surgeons use the Follicular Unit Extraction for Hair Transplant. This safe, tried and proven method involves minimal scarring. Therefore, even if you have short hair in the donor areas, the extraction areas will not be visible. Kaya combines safe procedures by expert surgeons with follow up treatments like PRP and root rejuvenation treatments to boost the effectiveness of the hair transplant. Within a period of months, you will begin to see new hair growth covering your bald patch. Why put off a critical decision? Go for a consultation at a Kaya Clinic nearby. Kaya’s Expert Dermatologists will examine your scalp and your hair loss history. They will suggest hair transplant only if your hair loss is severe and other hair restoration therapies will not work. If you do elect to have hair transplant at Kaya, you can be assured that it will be safe and effective. When shopping for skin care essentials, you should choose with care. Check the ingredients; buy only those products that are fragrance free and hypoallergenic. Sensitive skin reacts quickly to external factors, so take special care to prevent allergic reactions. Dry, dehydrated skin is prone to develop allergic reactions to heat, sunlight, strong chemicals, and synthetic fragrances in products and so on. Dry skin loses moisture quickly. Sebum production is also less in dry skin, so the skin is unable to shield nerve endings in the skin against heat, dust, pollution, ingredients in skin care products etc. Sensitive skin is usually dry skin. Drink a lot of water for skin hydration. You can also drink lemon water to derive benefits from the Vitamin C and antioxidant properties of lemon. Limit use of cosmetics. Focus on using skin moisturising and nourishing products. Hydrate and rejuvenate dry skin using easily available items like milk and coconut oil. For sensitive skin, you need to pay special attention to the ingredients list in any product you buy. Do not buy products those that have alcohol, strong chemicals, added fragrance, colors etc. If you need exfoliating products, choose gente scrubs that do not have abrasive content like beads. Find good, deep moisturising products. Buy sunscreens that are formulated for sensitive skin. Choose skin nourishing creams and lotions that add nutrients to your skin to make it healthy and smooth. Eat a lot of fruits and vegetables that provide the vitamins and minerals needed for skin health. To enhance and maintain skin health, choose the best facial for sensitive skin. Kaya Clinic offers sets of skin care products and services that are specially created for different types of skins. For sensitive skin, Kaya offers a gentle face wash for sensitive skin and a special sunscreen. You can also try their soothe and balance facial for sensitive skin. This cleanser contains no soap or added perfume, so it will not irritate your skin. It makes use of natural fatty acid derivatives to deliver deep cleansing without dehydrating your skin. Removes makeup traces, dust and dirt and leaves your skin feeling light and clean. This is among the best sunscreen for sensitive skin. It provides comprehensive sun defence, against both UVA and UVB rays. Lightweight and easy to apply, this sunscreen hydrates your skin even as it shields it against sun damage. This perfume free, gentle product has been formulated by dermatologists at Kaya specifically for sensitive skin care. The Soothe and Balance facial at Kaya is targeted towards cleansing and nurturing sensitive skin. It starts with a gentle microdermabrasion to exfoliate your skin. Then, a specially formulated serum is applied. This serum contains the right nutrients to restore your skin’s pH balance to keep it free of irritation, and to give it a healthy, glowing look. Next, your skin is soothed with a cream that contains extracts of Grapefruit Seeds. Then a mask composed of Tea Tree Oil is applied. This also aids in purifying and nourishing your skin. Once the facial therapy is finished, you can perceive the difference. Your skin feels calm and free of irritation, with a refreshed look. Go online and you will find a lot of sensitive skin care tips. Keep your skin protected against external factors like heat and dust, and use hydrating products. Kaya Clinic is a trusted name in Skin and Hair Care. Its products and services are designed and tested by dermatologists, and the special treatments are carried out by experienced professionals. Rejuvenate and pamper your sensitive skin with facials and the regular use of Kaya’s sensitive skin care and dry skin care products. It’s important for people to have a good first impression of you and a person with beautiful and lustrous hair inevitably leaves a good impression. There’s a saying “You are never fully dressed as long as you don’t have great hair”. Hair is one of the best accessories that you can wear to look beautiful, and you can get that by maintaining good hair health and using the right hair products. It is important to take care of your hair. Repeated washing with chemical-laden shampoos and conditioners can rob your hair of its natural shine and volume. Pollution, dust and dirt in air, harmful rays of the sun—all these can damage your hair and make it dull. Apart from using the right products, it’s also important that you eat a balanced diet and maintain a healthy lifestyle. Lack of proper minerals and vitamins in your diet can lead to hair fall. Kaya is a trusted name when it comes to skin and hair care. With years of experience, they ensure nothing but the best. The best thing about getting treated at Kaya is the fact that they treat the causes and not just the symptoms. The Kaya Ultimate 360° Hair Elixir Therapy is specially-curated to treat multiple hair and scalp problems. It combines phytonutrient extracts, nourishing oils, plant peptides, minerals, and vitamins to energize your hair roots and make your scalp healthy. All these work together to strengthen your hair fiber and prevent hair fall. This treatment deeply nourishes your hair and promotes hair growth. So, if you’re someone who has always dreamed of voluminous and lustrous hair, this therapy can work magic for you. This therapy offers anti-aging goodness to your scalp and treats limp and breakage-prone hair. It delivers instant shine and makes your hair smooth and soft. Hair thinning and hair fall has become a common problem. Diet changes, pregnancy, relocating to a new place, the degrading quality of water, etc. can lead to excessive hair fall. Intense Hair Root Therapy treats your hair roots with the help of micro injections. This rejuvenates your hair follicles and stimulates new hair growth. Natural Hair Rejuvenation is a USA FDA-approved service that makes use of your blood plasma. Plasma rich in platelets is used to make your hair follicles healthier and stronger. Hair Nutri-Infusion Therapy delivers nutrient-rich cocktail to the roots that help in preventing hair fall and hair thinning. Finally, a laser treatment is used to improve blood flow to your hair roots to enhance hair growth. You need to visit your nearest Kaya Clinic and get your hair and scalp checked by a dermatologist, to know which treatment you need. You can start using the Kaya Nourishing Shampoo to prevent any further damage to your hair. Kaya offers a wide range of hair care products that you can order from the comforts of your home. These work together to nourishing your scalp and making your hair healthy. Unwanted hair on the body can be an embarrassment, especially for women. Shaving, waxing, plucking, and threading are some of the common methods of hair removal. However, these are painful procedures and the hair that is removed often grows back quickly. So, what is the alternative? You can try a more permanent solution for getting rid of body hair with Kaya Laser Hair Reduction. Here, we’ll take a look at what it is actually. Kaya offers a more permanent solution for body hair reduction using Laser hair technology, which is a painless technique compared to other traditional hair removal methods. Laser Hair Removal is relatively painless and it offers a long lasting solution. It is designed to target hair shaft and hair follicles, without affecting the surrounding skin. At Kaya, the entire laser hair reduction procedure is supervised by Kaya expert dermatologist, ensuring complete safety. You can opt for laser hair removal packages offered by Kaya and choose specific areas of your skin, areas that are usually exposed. Or you can also opt for complete body hair removal. There are laser hair reduction packages for men as well. Laser technology uses intense light beams that target specific areas and leave the surrounding skin unaffected. Kaya Clinic uses two technologies in Laser hair removal—the Hair-Free Gentle Touch which uses the ND-Yag laser technology, and the Painless Hair Reduction treatment which uses the IN-Motion technology, which is an easier method to use on large areas. Both of these laser treatments are US FDA approved. Consider reading Kaya laser hair removal reviews, to get an idea of other people’s experiences with Kaya Laser Hair Removal treatments. This treatment uses the ND Yag Laser technology. Whether it is on very sensitive areas like your face or on other parts of the body, the ND-Yag laser technology is deemed very safe and appropriate for Asian skin types. First, you will have to go for consultation session where your skin type, color, hair color and texture, hair growth pattern and other factors will be examined. Your treatment will be designed based on all these inputs. The procedure is performed by expert dermatologists who have years of experience in this field. 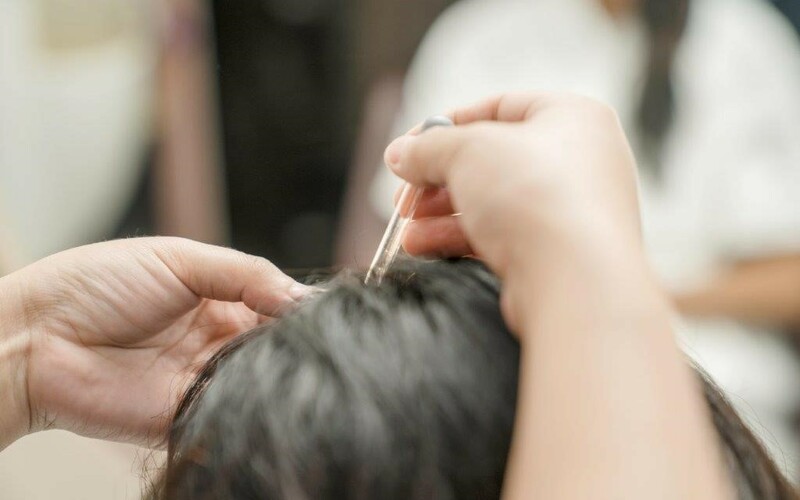 If needed, your hair will be trimmed to make the procedure more effective. You may be required to wear some sort of eye protection to shield your eyes. A cold gel may be applied on the region to be treated to reduce the effect of the heat from the laser beam on surrounding skin, and to aid the laser beam to penetrate to the subdermal layer. Then the dermatologist will try the laser on a small area to see how it works and to observe if you develop any adverse reaction. If all goes well, you will be prepared for a full session of laser hair removal. How Does ND Yag Laser Help in Hair Reduction? In the ND-Yag Laser hair reduction procedure, the laser targets the darker hair pigments so that the skin is unaffected. It discolors the hair pigment, penetrates deeper and burns the hair follicle, reducing the chances of hair regrowth. This method also reduces ingrown hair, which is a side effect of other hair removal methods like waxing and threading. You may be prescribed cooling lotions and some anti inflammatory creams to reduce the immediate after effects which could include discomfort, temporary redness and soreness etc. You will need to wear sunscreen for several weeks after the treatment because laser treatment makes your skin more sensitive to sunlight. However, as a general skin care rule, sunscreen is something that you should always wear when going out in the sun. You will need to undergo several sessions of treatment, with around 4 week gaps between sessions to see good results. How many sessions of treatment is needed depends your skin and hair type. Many sessions are needed because laser hair removal only works on hair that is in the Anagen or growing phase. Generally, a large percentage of your hair is in the Anagen phase, but a good percentage are also in the Transition or Catagen phase and in the Resting or Telogen phase. To get rid off all the hair, you need to attend multiple sessions over several months. However, once the treatment sessions advised for you is complete, you will be hair-free for months, even up to two years. Some of you may need top-up treatments, but that will after many months. Who Can Take this Laser Treatment for Hair Reduction? The procedures used by Kaya are completely safe. You can avail Laser Hair Reduction irrespective of your complexion, skin types etc. The risk factor is close to zero. Nonetheless, the expert dermatologists at Kaya will examine your skin first and then will proceed with the hair reduction technique. ● You have a tanned skin, through sun exposure. Wait till the tan wears off before going for laser treatment. ● You are a pregnant woman. ● You are vulnerable to conditions like cold sores or the herpes simplex virus. ● You are hypersensitive to light. ● You have keloid scars or have other skin healing issues. Laser Hair Removal (LHR) is a safe procedure, and skilled and expert dermatologists at Kaya perform it. If you are considered an ideal candidate, the Kaya dermatologist will tell you which treatment to take and advice you on how to prepare for the sessions. Book an appointment today to know more. You may look for special offers and discounts offered on Laser treatment for hair removal cost at your nearest Kaya Clinic. Also read Kaya Skin Clinic Laser Hair Removal Reviews to know first hand experience this service from Kaya. Hair loss is the most common issue faced by both men and women. The severity of hair loss can differ from people to people. There are several treatments available for hair-related issues but in order to treat your hair problem, you must diagnose the cause first. Male pattern baldness is the primary concern among men. Hair fall is a common issue and there are several reasons behind it like lack of moisture, skipping routine haircuts, improper eating habits, unbalanced diet, hereditary, pollution, stress, illness and hormonal imbalances. However, the causes aren’t permanent. A few changes in your lifestyle and the products you use can treat hair fall. Let’s take a look at how Kaya does it. 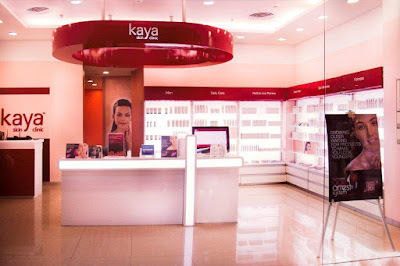 Kaya is a well-known dermatologist brand, that offers services and products for both skin and hair care. Kaya stands out for its dermatological expertise and offers products and services that can do wonder to your skin and hair. Kaya Root Regen Range is one such product hair care product, which is formulated to treat hair fall issues. Read on to know more. Enriched with natural ingredients like olive oil, avocado oil, macadamia oil, basil root extracts, sugarcane, apple, and lemon, Kaya Root Regen Range offers hair care products that helps in restoring healthy hair while deeply nourishing it from the roots. They help in preventing hair fall and even split ends. The ingredients help reverse hair damage and offer the desired results within weeks. 1)Scalp Nourishing Oil: The oil helps to strengthen your hair from its roots while reducing hair fall. It is non-sticky and lightweight and it deeply revitalises and nourishes the scalp. For an evident result, use the oil for at least 3 months. 2)Scalp Revitalising Shampoo: Kaya’s Scalp Revitalising shampoo is mild in texture and does not dry out hair. It exfoliates and revitalises the scalp and aids for stronger hair roots. The shampoo also provides active cell renewal. Use it for two weeks for visible results. 3)Deeply Nourishing Masque: The masque deeply nutrifies and smoothens hair and prevents split ends. It offers an evident shine and instant manageability. It stops breakage of hair and treats the overall health of your hair follicles. 4)Hair Protect Serum: A lightweight and easy absorbent hair serum that nutrifies hair roots and makes hair look better. The nutrients in the serum helps in nourishing and restructuring hair follicles. Use the Hair Protect Serum consistently to prevent hair fall and to see visible results within a short span of time. To attain healthy and strong hair, you must follow these 4 simple steps. The Kaya products contain rich nourishing ingredients that take care of your hair from the roots to their tips. Enriched with superfoods, Kaya Root Regen Range have shown excellent results for many and can be used by both men and women. You can shop for these products online. Your hair can be affected by many internal as well as external factors like your diet, overexposure to the sun, humidity, and dust. Kaya also offers in-clinic services like the Targeted Root Regen Treatment to treat excessive hair fall. It works by delivering nutrient-rich cocktails to the hair roots, which help in strengthening hair and giving it a softer and shinier look. Book an appointment in your nearest Kaya clinic and get your scalp and hair diagnosed by a hair doctor. Maintain a good hair care regime. Nourish and protect your hair to reduce hair fall and keep your hair healthy with Kaya Clinic.